Amazon Prime is pretty amazing with the things you can get delivered to your door, but now it’s added something you wouldn’t expect – the Volvo V40 hatchback. That’s right, using your Amazon account you’ll be able to order a Prime Now delivery of a Volvo V40 to either your home or office. Now, this is a fairly limited run (which smells more than a little like a marketing stunt), only available over a series of a few weekends in June and July, and only in select cities. You’ll need to head over to the Amazon page dedicated to the Volvo partnership, enter your postcode, then pick a time slot for your V40 to be delivered. 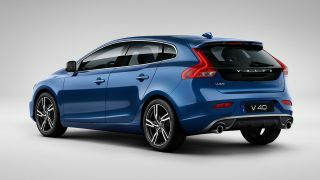 It’ll be accompanied by an expert who can explain the V40 to you. We’d have liked to see true Amazon integration so that you could use you Amazon Echo to call for a vehicle to come to your door, but you can’t have everything, eh? Rather not leave the house? Check out the best movies on Prime.